Searching WooCommerce Order data can be greatly improved by having SearchWP take care of the heavy lifting. By default, WooCommerce excludes shop_order from search results, but we can tell SearchWP that we do in fact want it to index Order data by following these instructions. NOTE: WooCommerce Order data is sensitive information and proper precautions should be taken to prevent unwanted exposure. Perform your own tests to ensure Orders are not showing up in your public-facing searches. Note that an Any Custom Field has been added to the post type as well. This will ensure all of the Order metadata (including address information) is searchable. Once the engine has been created, save your settings. With that hook in place you can effectively search WooCommerce Orders using SearchWP! 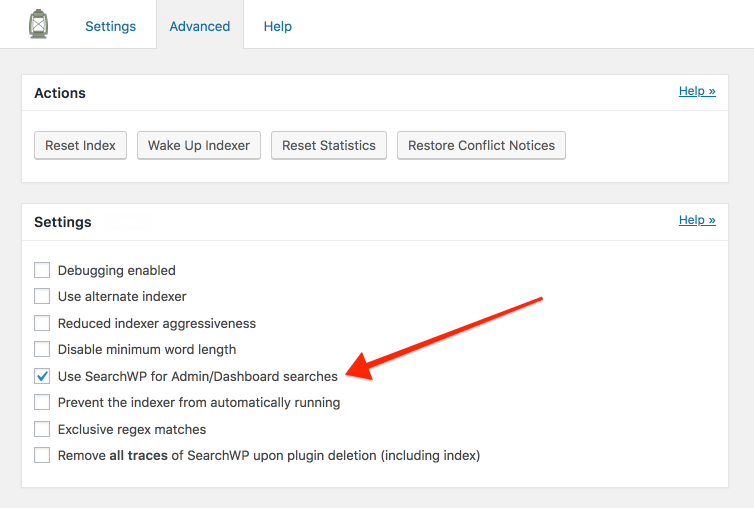 Note: in order to search 1 or 2 digit Order Numbers you will also need to disable the minimum word length by ticking the appropriate checkbox on the Advanced tab of the SearchWP settings screen. You can follow this process to index any other data as “extra” metadata (make sure you have ‘Any Custom Field’ selected for your Orders post type in order to include any extra metadata in your searches). For more information please see the docs for searchwp_extra_metadata. WooCommerce also imposes some restrictions on Order Notes which prevents them from being searchable by default. 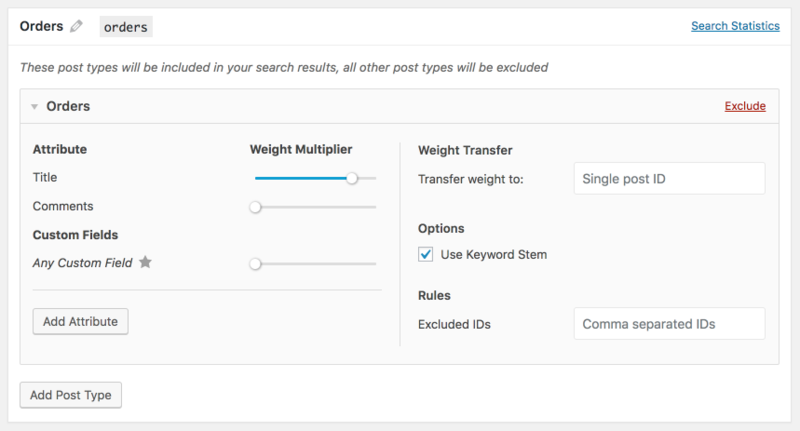 If you would like to include Order Notes in SearchWP-powered searches of WooCommerce Orders, you will need to first ensure that Comments have a weight in your SearchWP engine configuration (see screenshot above). Once that’s in place, your Order Notes will also be indexed by SearchWP and made searchable.